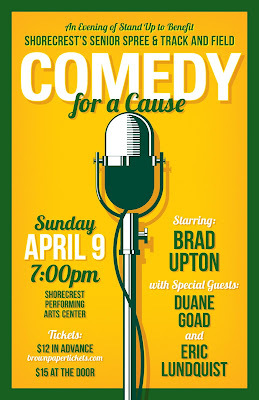 Sunday, April 9 at 7:00pm, Shorecrest Performing Arts Center, 15343 25th Ave NE, Shoreline, 98155. Comedian Brad Upton performs along with special guests Duane Goad and Eric Lundquist. Tickets available online for $12 or at the door for $15. Free parking. 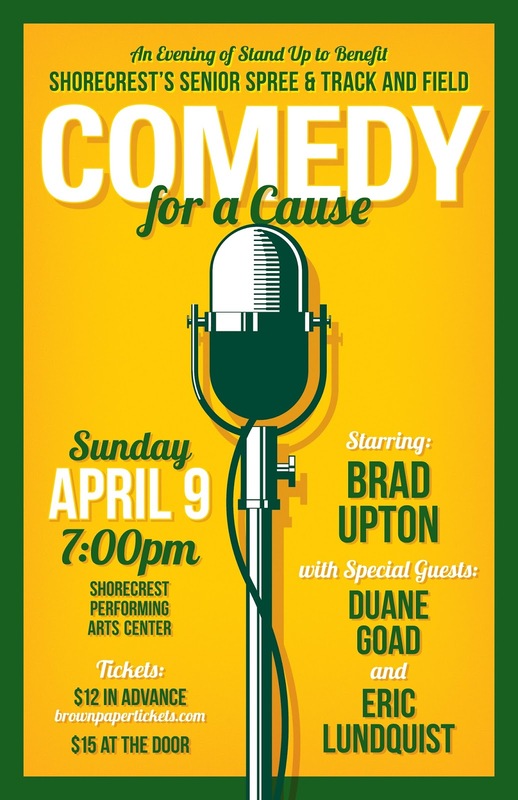 The show is a benefit for both the Shorecrest Senior Spree and the Shorecrest Track and Field team.